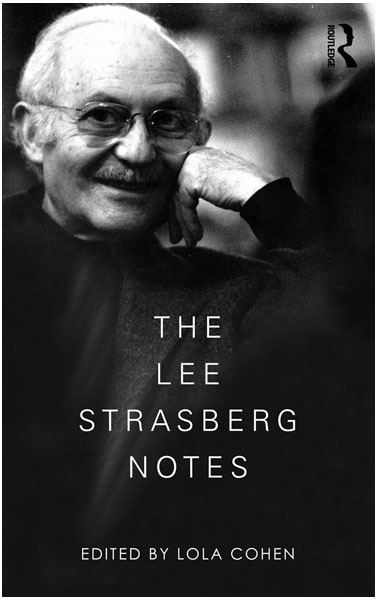 The Lee Strasberg Notes, published by Routledge – Taylor Francis in 2010, contains the voice and wisdom of Lee Strasberg painstakingly transcribed, organized and edited directly by Lola Cohen from years of video and audio tapes of Lee Strasberg teaching his Method Acting and Directing Classes. In the words of Johnny Depp, “For the actor, ‘The Lee Strasberg Notes’ are an indispensable companion”. My intention is for you to discover if Method Acting can be very useful for you to enrich your craft and creativity, get acting work, and have that work well regarded. It is also my intention that The Lee Strasberg Notes provides the material which helps you make an informed decision about that. What can Lee Strasberg teach the modern actor? The Lee Strasberg Notes reproduces the original teachings of a unique voice in actor training for the very first time, presenting an enlightening approach to today’s practitioners. Compiled and edited by Lola Cohen, acting teacher at the Lee Strasberg Theater and Film Institute and one of Strasberg’s former pupils, the book is based on unpublished transcripts of his own classes on acting, directing and Shakespeare, re-creating his theoretical approach, as well as the practical exercises used by his students. The theater, acting and actors. Including a Preface by Anna Strasberg and a Foreword by Martin Sheen, this illuminating book brings the reader closer to Strasberg’s own methods than any other, making it an invaluable resource for students, actors, and directors. 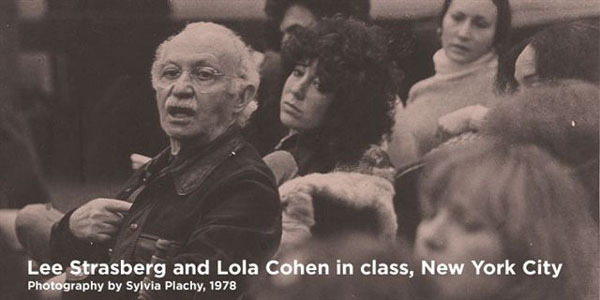 Lola Cohen has taught acting for over 27 years at the Lee Strasberg Theater and Film Institute and for the last 11 years as adjunct professor for NYU’s Tisch School of the Arts Department of Drama students learning the work at the Strasberg Institute. She has directed plays with student and professional actors including A Midsummer Night’s Dream for the Woodstock Youth Theater, Jean Genet’s The Maids at the Strasberg Institute and Lewis John Carlino’s Snowangel while 2009 Artist-in-Residence at SUNY-Ulster and the Strasberg Institute and Anton Chekhov’s, The Seagull, a Work in Progress at the Melikhovo, Russia Chekhov Home and Theater School Historic Site.